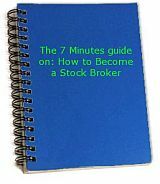 The 12 Rules of How to Avoid Losing and Start Making Money from the Stock Market will help beginners. RULE 1: WHY DO YOU INVEST? Make more money, this is the answer to most people. Then ask yourself these three questions: 1.What is your strategy for making money? 2.Is your strategy safe? 3.How to increase the profit and minimize the risk? RULE 3: DON'T GET OBSESSED WITH STOCKS Sitting and monitoring the market whole day long will not bring you profit. Instead, it increases pressure and misleads your judgment. RULE 4: NEVER GAMBLE 95% of the people always buy at the highest price. They don’t really know when to buy, just relying on news, rumors and tips. Only 5% of the people knows how to trade at the lowest price. That’s why 95% are losing money, only the 5% are making money. Investment Builds Wealth, Gambling Definitely Lose! RULE 5: If you want to learn how Start Making Money from the Stock Market, then you have to SAY GOODBYE TO FINANCIAL NEWS News used to be able to predict the market trend. But not anymore, it is difficult to judge which news could actually influence the market nowadays. RULE 6: DO YOUR OWN ANALYSIS, FORGET ABOUT TIPS Before investing, ask yourself these four questions: 1.How many people have already heard about the tips before you? If many have heard about it before you, this news is already obsolete. The price is already high. 2.How long have the tips been spreading before it reaches you? The next day? 3.Who told you? Listed company director? Or friends? 4.Assuming that the tip is true, would you possibly know about it? Normally insider news is not disclosed. RULE 7: SELL YOUR STOCKS EVEN LOSING MONEY It is easier to be said than done. Sell at a loss is a difficult decision. Your heart will object, and your feeling will say "It is going to rebound, don't sell." Eventually price dropped further, causing a much tragic lost. RULE 8: If you really want to Start Making Money from the Stock Market then, DON'T JUST FOCUS ON MAKING MONEY How to protect your capital is much more important. Don’t try to make 100% profit. It is already good enough to have a 60% profit margin. RULE 9: HISTORY WILL NOT ALWAYS REPEAT Everyone expects to make some money from the stock market before Christmas, New Year, annual budget announcement or election, but the stock market is not always bullish during these events. We can say history is not always repeated. The best way is “Let the Market Lead us”. RULE 10: If you really want to Start Making Money from the Stock Market then always bear in mind the QUOTES FROM WARREN BUFFET "There are only two rules on making money from the stock market: The first rule: Never lose your money. The second rule: Never forget the first rule." RULE 11: TURN BAD STOCKS INTO GOOD STOCKS, DON’T JUST HOLD YOUR STOCKS Don’t hold your stock too long, there is a value when stocks are sold. How long have you been holding your stocks until now? Since Year 1993? 1997? Or Year 2000? Why didn't you exercise your stocks? Long term investment strategy is not practical anymore. Even the blue chips also crash when the market collapses. The best strategy is to sell the stocks that are not earning money, and reselect some good counters. Buy low, sell high for several times will earn you more than enough to compensate the lost. RULE 12: WAKE UP FROM MISTAKES Stop investing if you are not sure of when to buy or sell. Without the knowledge of investment, you are bound to lose again. This is an age of information. Investors are using knowledge, techniques and strategies to make money. Without investment knowledge, how do you protect your money? Building wealth through investing starts with securing your capital.